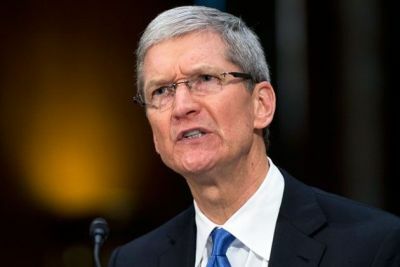 Arthur Levinson, Al Gore, Bill Campbell and other members of the board of directors of Apple are not completely satisfied with the work Tim Cook has done so far, and he was appointed as a CEO because exactly those people were confident that he was the right man to take Jobs place. Poor performance of Apple and decline in value of the shares from around $700 to around $500 certainly wont help with the unpleasant situation at the top of the company. While Cook is not currently in danger of being sacked, in order to prevent such a development of events he will have to speed up the dormant Apple and forget about he unacceptable statements that recently came out of his mouth. Statement that Apple this summer will not issue new products is certainly not something that pleased shareholders or other directors and without any concrete ideas to cope with fierce competition, Apple's popularity definitely will not grow. Apple as a company is currently losing share in the modern mobile market, the same one that the legendary Steve Jobs created with the iPhone and iPad, which is now taken over by Google and Samsung.